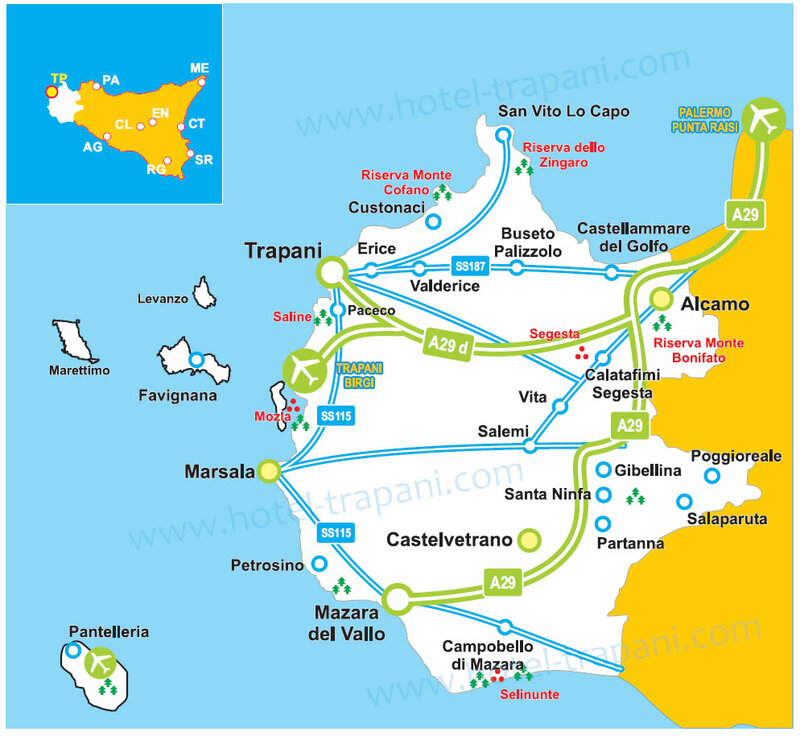 Travelling around the province of Trapani is not complicated, the connections are good and affordable for everyone. In this sense it is obviously useful to have some travel information in order to be able to move around easily and make the most of the various means of public transport.It is clearly important to have a general idea of the province and the location of the various places to visit. In this regard, through the links below, you can download maps and guides for better orientation. It is also useful know the timetables of the various means of public transport: buses, hydrofoils to the Egadi islands, the cable car etc. Finally, if you decide to rent a car, it does not hurt to have kilometric charts at your disposal so as to be able to to judge distances well. The links below provide valuable information and resources to help you plan your trip thus avoiding any surprises.